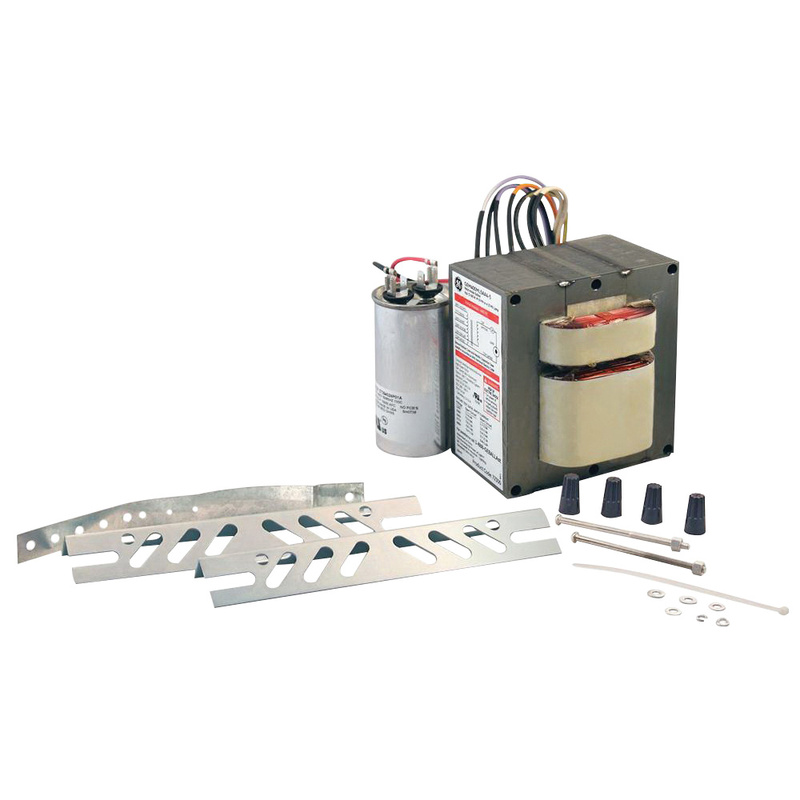 GE Lighting Magnetic HID distributor ballast replacement kit has 1 ballast factor, 0.9 power factor and an efficiency factor of 0.893. The multi-5 kit has a power rating of 280-Watts, voltage rating of 120/208/240/277/480-Volts and current rating of 2.5/1.4/1.25/1.1/0.65-Amps. It is compatible with one 250-Watt metal halide lamp and uses 15-mF 400-Volt oil filled capacitor. It comes with appropriate core and coil with color coded leads, a properly rated capacitor and igniter. The HID distributor ballast replacement kit is UL and cUL listed.